Action Figure Insider » Baby Groot Will Save the Galaxy—And Your Change! Baby Groot Will Save the Galaxy—And Your Change! 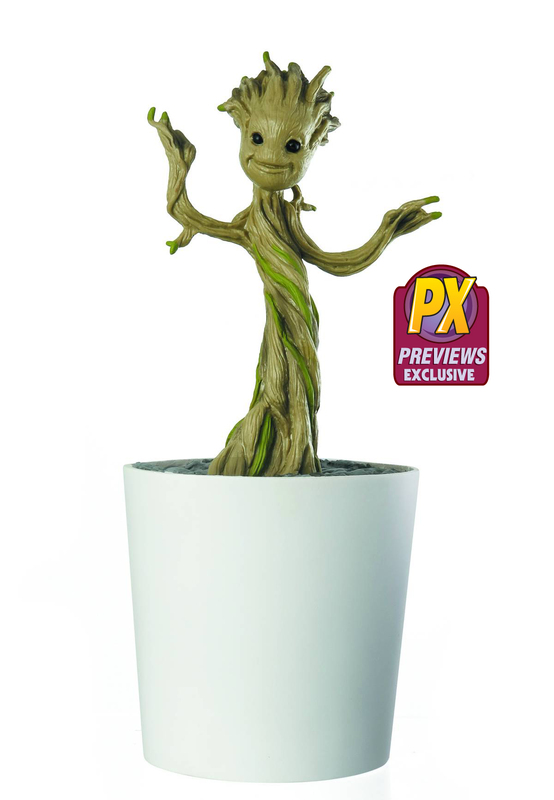 (BALTIMORE, MD) – (November 13, 2015) –Save more than just the galaxy with a PREVIEWS Exclusive Baby Groot Figural Bank by Monogram Products, Ltd.! The bank is available to pre-order from the November PREVIEWS catalog and will arrive in comic shops late February 2016. 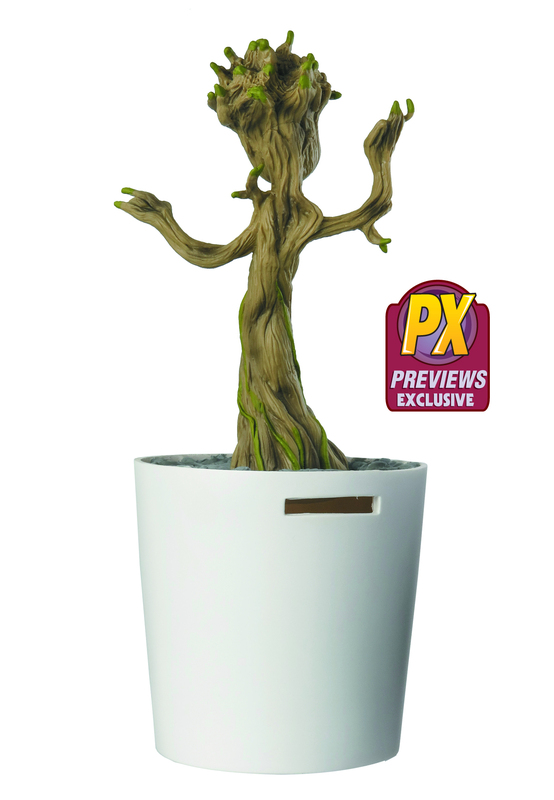 The figural bank features the grooving baby Groot sprout planted in a white pot, just like in the Guardians of the Galaxy movie! Coins can be dropped through the slot on the back of the pot and collected by removing the plug on the pot’s base. This bank is the perfect functional collectible for Guardians of the Galaxy fans of all ages and can be found on page 558 of the November PREVIEWS catalog and ordered using item code NOV152770 for just $29.99! Comic fans can also find the PREVIEWS exclusive Harley Quinn Head Bank offered again in the November catalog on page 555. The life-size bank, sculpted to look like the head of fan-favorite DC villainess, can be purchased for $29.99 using code NOV152736 at any comic shop. The banks can be ordered from the November PREVIEWS, which is available now in comic shops. Find a comic shop at www.comicshoplocator.com to pre-order today. ABOUT PREVIEWS-PREVIEWS is part magazine, part catalog, featuring all comics and pop-culture merchandise found at your local comic shop. The catalog is broken down into sections: Comics & Graphic Novels; Books; Magazines; Trading Cards; Toys, Statues & Models, and more. Each month there is a detailed listing for almost every comic book and pop-culture product that will be available in two months. For more information, visit PREVIEWSWorld at www.previewsworld.com.